Bruce Lee is still and probably always will be the King of Kung Fu movies and his films still sell well today after all these years. Seeing Bruce Lee in HD has been a bit more problematic as his films have not had the full remaster that they deserve (apart from Enter The Dragon which is a great Warners release). 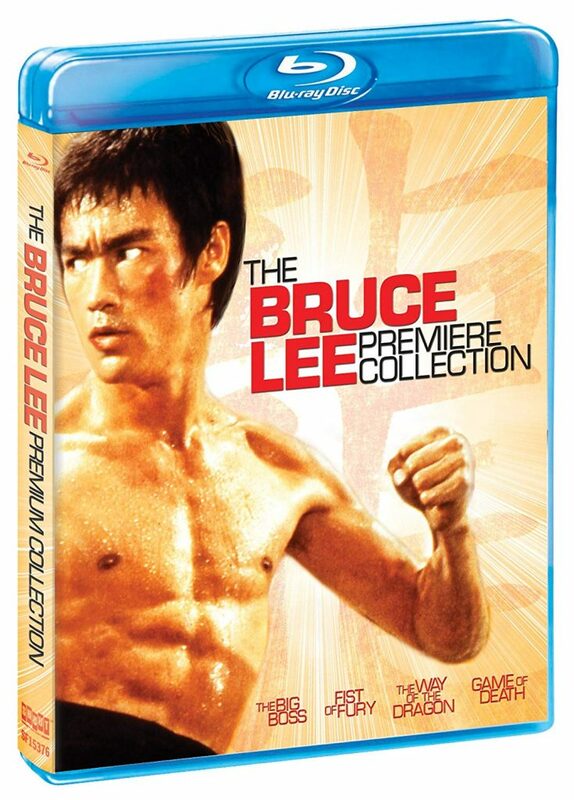 Shout Factory in the USA went all out and released the Legacy Collection a large box set featuring the 4 remaining films of Bruce Lee on Blu ray and DVD as well as documentary DVD releases and a great booklet. This Bruce Lee The Premiere collection is a slim down version of that set for those like me who did not want all the extras or the book that came with the earlier collection. Let’s start with the first film that the Little Dragon starred in The Big Boss. Bruce plays Chen Chao An, a country bumpkin who goes to Thailand to be with his fellow countrymen and work in an ice factory and earn some extra cash. When his fellow workers start to vanish it is up to Chen to find out what is going on and after finding his friends and family murdered goes all out for revenge. While the film is a very low budget affair the on-screen charisma of Bruce shines through, he goes almost to bursting point trying not to fight and keep a promise he made to his mother not to get into trouble. The fight scenes are sharp and fast and the film showed what promise he had as a star after it broke all box-office records in Hong Kong. The Blu ray release is probably the best looking of the four, the HD image is sharp and colourful with natural looking grain and the best it has ever looked. Audio has some great choices including thankfully original mono options for Mandarin, Cantonese and English dubbed versions. Another great addition is the rejected English dub which has all the voices you recognise from the early classic kung fu movie releases. Extras consist of an informative audio commentary by Mike Leeder but sadly the audio is very washed out and hard to hear at times which is a great shame as its a great informative narration. (It the same for all the audio commentaries on these discs). 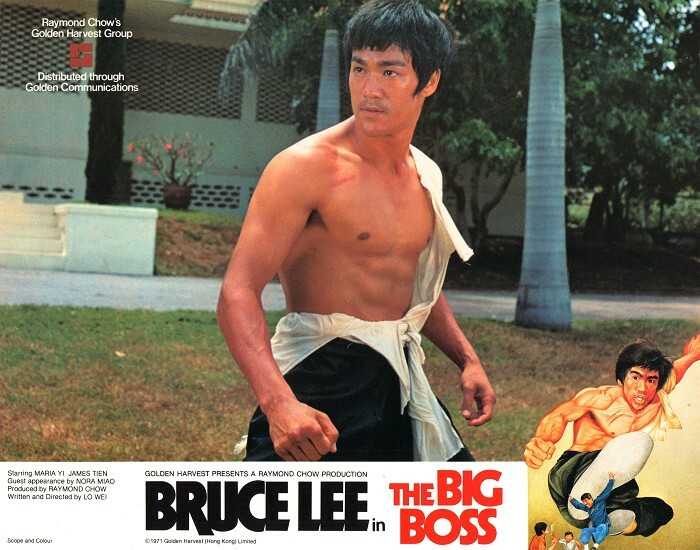 Other extras include trailers, alternate angle ending, Return to Pak Chong: The Big Boss Revisited features actor and martial artist Daniel Whyte talking about the film and his visits to some of the film’s locations, Bruce Lee: The Early Years is an interesting and amusing interview with Gene Le-bell, a martial artist and stuntman who worked with Lee on The Green Hornet. Interview with Tung Wai, Rare Scene Extensions, Bruce Lee vs. Peter Thomas (he wrote the score for the Western release) and a Stills Gallery. 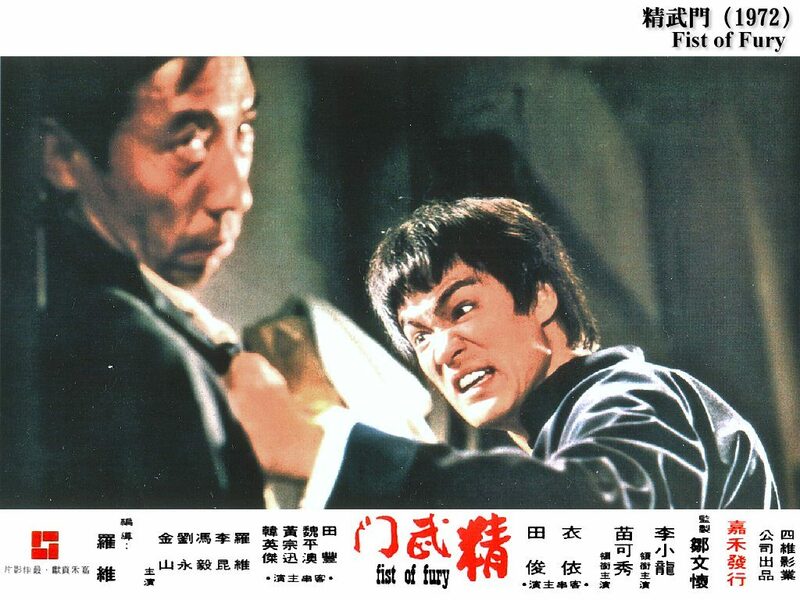 Fist Of Fury was released in 1972 and was a much more effective vehicle for Bruce Lee. Here he plays Chen Jen a pupil of master Huo Ying Ja of the Ching Wu school who has died under mysterious circumstances. After he finds out that his master was poisoned by the Japanese he sets out on his quest for vengeance. Great fight scenes and now with his famous battle cries Fist Of Fury is my favourite film in this set. Sleek and dynamic the film is a tour de force for the rising star and the action is superbly staged climaxing with his battle with the Russian Petrov, played by his real-life student Bob Baker. The HD master used on this is dated and looks a little flat. It just looks a little soft in places but is still an upgrade over any previous DVD releases. Audio has again multiple choices of Cantonese, Mandarin or English dubbed all in the original mono (There is also a 5.1 remix track for all the films in this set but they have added sound effects to the fight scenes which stand out like a sore thumb and spoil it totally). Extras include the Audio commentary by Mike Leeder, Remembering Fist of Fury features actor Jason Tobin (? ), and martial arts movie director Isaac Florentine. an interesting interview with Yuen Wah ( he was Lee’s double on this film and Enter The Dragon) and alternate opening and ending title sequences. 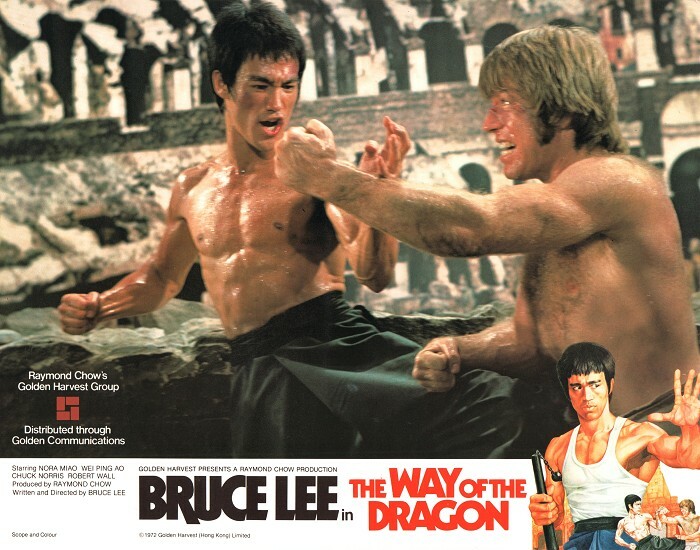 Way of The Dragon was the only film Bruce Lee directed before his early death and while a bit rough around the edges you can see the talent evolving and it is nice to see a more light-hearted approach to the subject matter. Lee plays Tang Lung sent to Rome to help out at a Chinese restaurant which is being bullied by the local mobsters. After showing his kung fu skills to drive them away things become serious when the mob bring in some real-life martial arts experts (Including Chuck Norris) to finish Tang Lung off once and for all. Its the fight scenes that save the film plus Bruce’s charm and charisma. Here he uses weapons including twin nunchuku and his final battle with Chuck Norris at the Coliseum in Rome is still one of the best fight scenes in any martial arts movie. The Blu ray is problematic but that is probably to do with the source material as the film was shot almost guerrilla style in Rome. After the initial scenes at the airport, the images settles down and gets a bit better and overall it’s an ok presentation. Audio has again got Mandarin, Cantonese or English dubbed options all mono as well as the 5.1 mix. A bonus is the Japanese audio track which is English dubbed but has added music in certain fight scenes. Extras include the audio commentary, Celebrity Interviews with include Sammo Hung, Simon Yam and Wong Jing who speak about Lee and the film, interview with Jon Benn who Remembers the Shooting of the Film, TV spots and Trailers. Game of Death was the last film released starring Bruce Lee in 1978 but was a miss mash of bad ideas and exploitative elements. 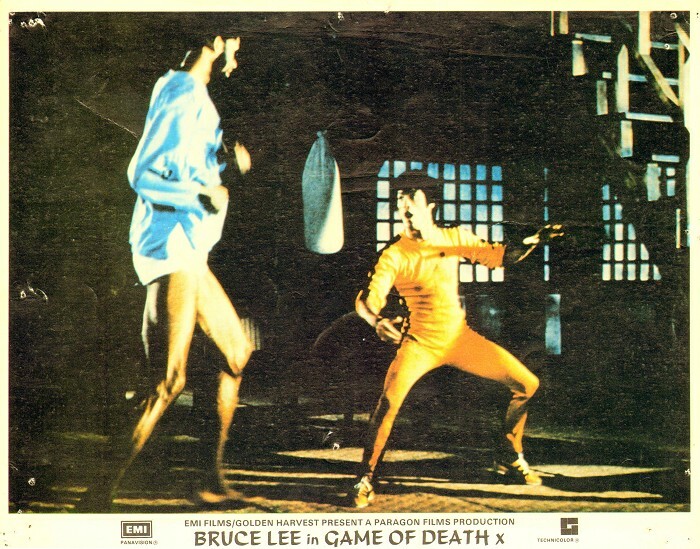 Bruce stopped filming Game of Death in 1972 to go and make Enter The Dragon for Warner Brothers and sadly never had the chance to go back and finish the film. The 1978 version concerns Billy Lo who is being harassed by the mafia but to be honest the plot and most of the film is laughably bad, apart from the great music from John Barry and a couple of lively fight scenes shot by Sammo Hung. The Blu ray is the worst quality of the batch, looks like an upscale with faded colours, bad contrast and an unstable image. Audio is ok, the film was shot in English and the English DTS-HD Master Audio 5.1 is fine. A mono option is also available. Extras are what save this disc and first and foremost is the Game of Death Revisited section which shows the footage Bruce originally shot and has been put together using his notes as a guide. The quality is great and this was only available before on a rare Japanese DVD which is long out of print ( This is a slightly different edit to the one on the documentary A Warriors Journey). You also have the audio commentary, outtake montage, bloopers, alternate opening and ending, Game of Death Locations which takes “then and now” looks at several of the film’s locations and finally Game of Death Japanese Print in HD (yes true HD). These good extras make up for the very poor presentation of the main feature. Overall it’s a good set, it will certainly be the best presentation of these classic films until a new 2k or 4k restoration takes place. With some good extras and at a good price this set comes recommended to all Lee fans. (The set is locked to region A).